Telepathy is the ability of communicate directly from one mind to another, without the collaboration of spoken, written, or corporal language, no matter the distance between those minds. The word telepathy comes from the Greek "telepatheia". "Tele" means distant, and "patheia" is "feeling", "affection". The belief in telepathy is not accepted by the majority of the scientists. But there were done many researches to find proofs of telepathy in all the Universities all over the world. But a great part of the scientific community explain the results of these investigations as simple coincidences. 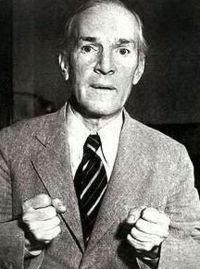 The first scientific that studied telepathy was Frederick William Henry Myers, in 1882. WH Myers founded the Society For Psychical Research. He and his team worked with cases of people that stated that they were telepaths. Their investigations were published in numerous articles, that were strongly criticized by the scientifics of their times. In 1917, the psychologist John E. Cooner, from the University of Standford, did a series of telepathy test with statistical data. Positive results were too high, so chance had not been possible here. His experiment consisted in several patients trying to guess cards. Despite this, the scientific community also refused to accept the results. 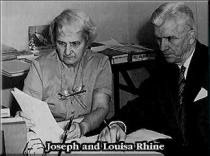 In 1927, Joseph Banks Rhine, from the University of Duke, did the same card experiment, adding the following difference: he did the test between "normal" people and compared the results against those that considered themselves as "telepaths". The results were demolishing: the ability of guessing was much bigger in telepaths than in normal people. The conclusions of this study were published in the book "Extra Sensory Perception ". The so called telepathy can happen in several ways: dreams, mental images, or thoughts. The optimal receiver should be in state of sub-conscience, being the best possible the state of the beginning or the end of the sleep. There may be several kinds of telepathy. One could be the spontaneous telepathy or precognition, that is, when someone feels that something bad is gonna happen. There's a case commented by Joseph Banks Rhine, in which a man felt a strong pain in the chest when he was driving. He had to stop his car. When he arrived home, he knew that his son had died in a traffic accident, from a blow in the chest. The facts happened in the same moment in which this man felt that precognition. 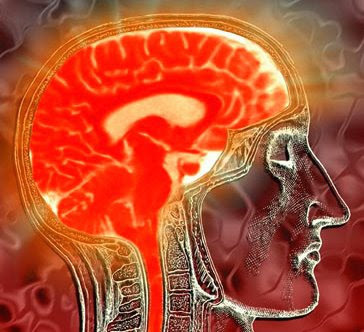 Telepathy experiments have not only been made with human beings. In 1969, Cleve Backster did an experiment with plants and a polygraph. He attached the wires of the machine to the plant's stem, and visualized in his mind this: burning the plant. In that moment, the polygraph needle began to move wildly. There were several experiments with plants, in which the plant's reaction to psychical stimuli was shown. But the scientifics accused Backster of fraud. In 1982, David Rohades, biologist from the University of Washington, proved that when a willow was attacked by a caterpillar, the willows of its same family secreted a substance that blocked these insects. Experiments with animals were also done. For example: some Russian scientifics brought some rabbits to a war submarine. The submarine went more than 1000 Kms away. In the moment that these rabbits were killed, the mothers of those rabbits registered a very high brain tension in their electroencephalograms. Another kind of telepathy may happen between very emotionally compatible people, and is usual between twins. Experiments with twins are very well-known, as in many occasions they share sensations of danger, sadness, or diverse emotions. One of the most influential books on this matter is "Mental Radio ". It gained the Pulitzer Prize. It was written by Upton Sinclair, and the prologue is by Albert Einstein. In this book, the author related experiments and mental connections. Although there are many experiments around telepathy, no scientific community accepts its existence, and all the scientifics that study it are considered as pseudo-scientifics, and accused of lack or scientific rigor. Lately, the number of free online tools has grown enormously. Many of these tools are really original and useful. These services help you to do tasks that you would never imagine doing in such an easy and quick way. Sometimes, the same tools give you interesting ideas for your website, works... Ideas and concepts that can really increase your benefits. Blog Design Tool, Online tool for creating templates for Wordpress and MovableType. Vizu Polls, Free polls creator. 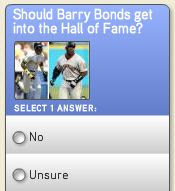 You can customize colors, add images to the poll or to each of the answers, and share this poll and send it to social sites. The polls created with Vizu can be inserted in any website or blog. WebWait, Loads your website 4 times and calculates the average load time. Virtual Keyboard, A virtual keyboard that you can integrate in your website and this way add security to logins and also improve its accessibility for disabled people. IzzyMenu, Build CSS horizontal or vertical websites menus for free, with this online tool. Or pick one from the big menus catalog and customize it. Drawter, Draw your website on the screen, and let this tool generate the code (HTML and CSS) for you. Weebly, A very quick and good service to create personal web pages. All the content is created through drag and drop, and it's very intuitive. Google Page Creator, Simple but powerful pages creator, that can also be used to host small files. 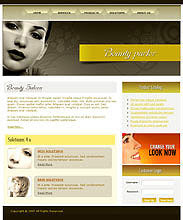 The interface is very neat and easy to use, being one of the most popular personal web page creation services. 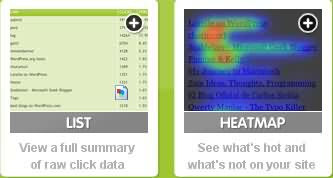 CrazyEgg, Free click heatmaps for your site. A click heatmap is a service that sees where your visitors click and draws a graphic with colors that tell you which zones are clicked most often. It is good for optimizing ads placement. Whos.amung.us, This service consists in a simple piece of code that you place in your website and shows how many people there are online. Feng-GUI, This is an artificial intelligence program that examines our website and tells you which areas catch more the attention of visitors, so you can use that information for add placement or optimizing your template. 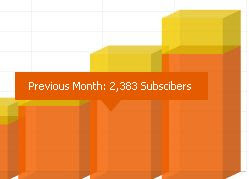 Feed Analysis, If you have an account on Feedburner, this tool can analyze your feed, and tell you the estimated value of ads per month that you could charge, the days of the week that most people subscribe to your feeds, and many more things. ClickTale, Have you sometimes wondered what your visitors do when they visit your pages? This tool can tell you much more than a counter. It can record a movie on what they do, showing how much down they scroll, what they click, etc. Clusty Cloud Generator, This is a tag cloud generator that when you enter a term, it displays all related terms in a cloud. This can be inserted in your website. But it can also be used to choose keywords. Each word links to a search in the Clusty search engine. Website Grader, Generates a complete report of SEO for your website, with many factors analyzed. A really excellent tool. Domain Availability, If you have doubts choosing your domain name, this tool can tell you which are taken or not. Simply enter your desired domain name and it will tell you if it's available. Google Trends, This service tells you which things are the most searched in Google. You can compare searches and see which ones are searched more often. Test Everything, Test your website in many different ways. Access to many online web tools is centralized here. Keyword Density, This SEO tool analyzes the number of times that the most used words in your website appear and makes a list with them. That way you can select them as keywords. Sputtr, A search page that contains many search engines. You can add or remove those that you like from a very big list, and also submit new ones. That way you can have all your favorite search engines together in a page. TinyURL, Takes a long url and turns it into a short url that you can paste in any comment, message, etc. so it doesn't end being cut. Co.mments, Great web tool that can track the post in which you've made comments so when you get an answer you don't loose it. Netvives, Web application that can read subscriptions to your favorite blogs, manage a to-do list, and many more things. 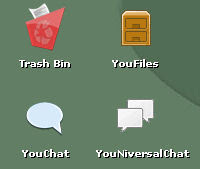 YouOS, Not a tool, but an operative system with applications, recycle bin, desktop, etc. 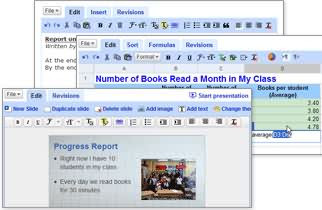 Google Docs, It's an office suite, with word processor, etc, like MS Office. But online and powered by Google. 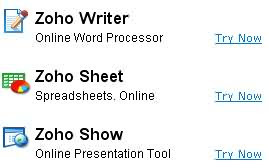 Zoho, Many web tools that you can use to write documents, organize your time, and many more. 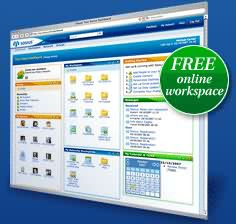 A complete online office solution. FAXZero, Send a FAX to the USA or Canada for free through this web tool. Intacalc, Intelligent calculator that reads human written language and makes calculations. Preezo, This web tool can create presentations that are similar to those created with Powerpoint. As the presentation is stored online, you can collaborate with others to make presentations, and save time. Splashup, Amazing graphics editor made in Flash that is like a Photoshop clone. 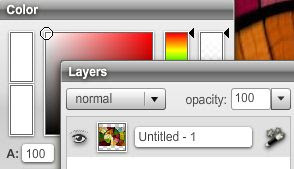 You can load an image, edit it, or create it from the beginning. After that, you can directly upload it to Flickr, Picasa, and others. Favicon.cc, Create your favicon online. See it in a preview as you draw, choose the colors and draw pixel by pixel. Download it to your computer once finished. Browse the favicons others may have created. Flickr Tools, Many image tools that can produce good effects and upload them to Flickr. For example, create motivation posters: those posters that you have seen dozens of times in Internet that are black with big white letters, and a photo. Mashon, Create and publish comics online with a complete application that is specialized on comic and cartoons creation. This tool is free, only charges a small amount if you want a printed copy of your work. Tartan Maker, Create tartan designs with this antique-looking tool. 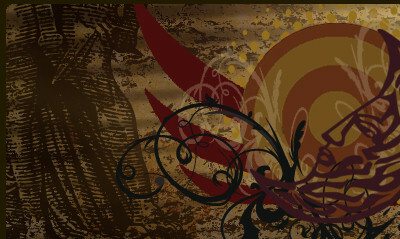 They can be used as page backgrounds as they are seamless. PicBite, Upload an image or submit its url and comment it with blurbs. Once you finished, they give you an url to share it. This way, it is useful for quick commenting images, teach quick tips to someone, or how to use a website, etc. 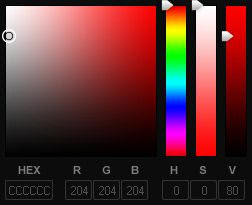 ColourLovers, Enormous site that has some great tools to create colors and color palettes, and also browse combinations that others may have done, rate them, etc. Colr, You can upload an image, and then use this tool to generate a pattern of colors from it. It is a great tool for building groups of colors that match your site's banner, for example. Sosius, Collaborate and work online without having to install anything, from any computer, in a secure environment. 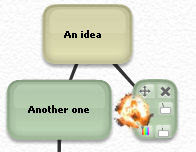 Bubbl.us, Make mind-maps and brainstorming sessions online. Embed that mindmap in your site. Share it with others, or print it in paper. Some visual effects are really funny. To-Do List, Share with others a list of tasks to complete, so all of you have access to it. Button Generator, Create impressive buttons for menus. Many different styles. ButtonBoost, Full-featured web tool to generate all kinds of buttons with custom text, colors, and icons. Also, a huge library of buttons to choose as a base of your buttons. Buttonator, Generates fully customizable buttons that look modern. There are several templates to choose from as a start. Button Maker, There are many two-colored button generators, but this one produces better looking buttons of this type. 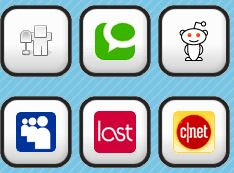 Socialmarker, This promotion tool can send a post to various social sites at a time. How Much Is Your Blog, Fun widget generator that displays how much is your blog worth in dollars, measured on several factors. It's not really useful but can impress your audience. Online Charts Builder, Create charts online, with different shapes and colors for each data. 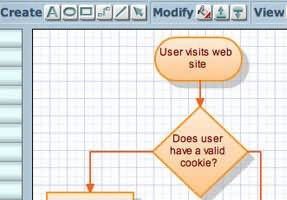 Gliffy, Create diagrams online with this free tool. Also useful for floor plans, flow charts, and all kind of diagrams. ChartAll, Very easy tool for creating charts with your data. The charts are generated as an image that you can save and paste in your site, not having to paste any code. Snipplr, This site allows you to store and share pieces of code that you use very often. FontStruct, It is hard to find software to create fonts. This tool allows you to create your own fonts online for free. You can also browse the fonts others may have created. Zamzar, Online file convertor. 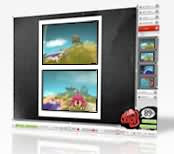 It can convert image and video files, and also sound and text files. Pieter Bruegel the Elder (1525-1569) was a great Flemish painter of the XVI century. He is supposed to have been born in Broghel, near Breda (Netherlands). He was an apprentice of Pieter Coecke, and married his daughter. 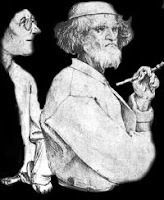 He had 2 sons with her, that also were painters: Jan Bruegel and Pieter Bruegel. 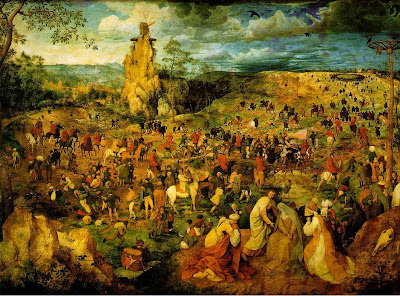 For distinguishing between the father and the son, the father has been called Pieter Bruegel the Elder, and the son Pieter Bruegel the Younger. 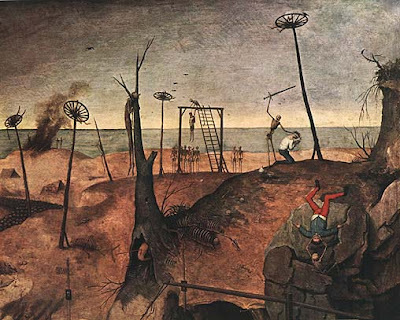 Bruegel is often compared with Hieronymus Bosch. In both painters, fantastic elements exist, and a reference to death. The artworks of both painters are full of small secrets, and scenes full by people. These are not paintings that can be just given a glance. They are that kind of artworks that can delight us, while discovering new details on and on. Pursuing his developing as an artist, Bruegel traveled to Italy, to study the Renaissance way of painting. Bruegel also depicted the reality of his times. From scenes of happiness, of everyday life, to scenes of suffering. But despite of what he painted, there's something that stands out in his works, and is his enormous strength. And over all that, his use of color. Doesn't matter what he tried to reflect in his paintings, the passion and strength of color in his artworks is indisputable. 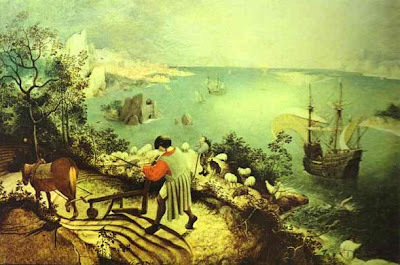 Bruegel gives as much importance to landscapes as to the human figure, caring about the details. 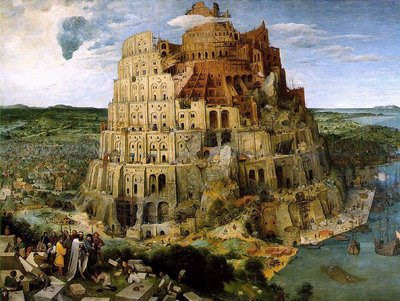 Bruegel is a painter that reflects the movement, with independence of the subject of his artworks. There's life in his paintings, and very much action. Some of his works are depictions of popular sayings. Even though little about his life is known, we know the main thing of Bruegel, that is his art, full of strength, life, movement and an unparalleled use of color. The belief in sirens has its origin in the Ancient Greece and they've populated literature and legends of the Western world until our times. In their origin, the Sirens were hybrid beings between women and birds. Later, they were depicted as half woman half fish. 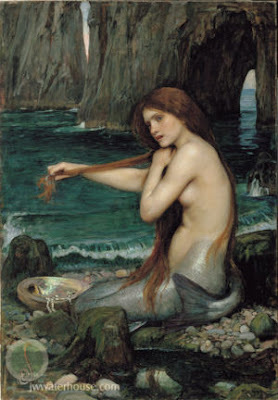 In the Greek mythology, the voice of these creatures, beautiful and enchanting, was called the Sirens' Song. This song of the Sirens was described as hypnotic and, in many occasions, it meant the ruin for sailors. This appears in many important literary works like the Odyssey of Homer. Odysseus asks his men to protect their ears with beeswax, to avoid the temptation of the Sirens' Song. Circe the sorceress told Odysseus to not listen the Sirens' Song, but Odysseus was curious and ordered his men to tie him to the mast of his ship. When he heard the song, he tried to go with the Sirens, but his men saved him from doing that. There are also stories about Sirens in the writings of Euripides and Plato. In the legend of Jason and the Argonauts, the sailors save their lives with the help of Orpheus, the legendary musician son of Apollo and the muse Calliope. Orpheus distracted the sailors playing his beautiful music much louder than the Sirens. The origin of Sirens is confusing. 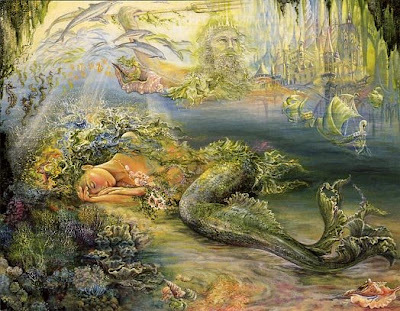 Some assert that they were daughters of Achelous, a river god that was depicted as a man with fish tail, and a muse. In some ancient maps it can be read in some seas "Hic Sunt Sirenae", which means a place where there could be Sirens, dangerous beings that sailors should avoid to encounter. Christopher Columbus said that he had seen Sirens in his travel to America. There are thousands of stories in which people told that they captured a Siren, or have seen one. 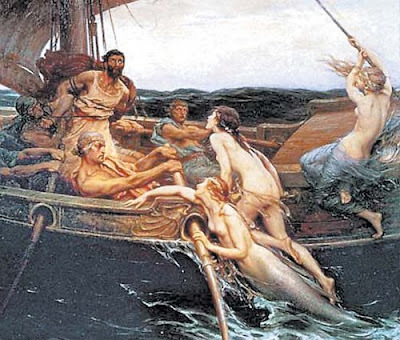 Sirens are a classic in sailor's songs and tales from Antiquity. 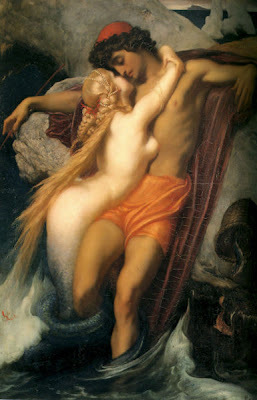 Sigmund Freud analyzed Sirens as a depiction of beauty and danger, and that was the explanation of their power of attraction. But not always have Sirens been depicted as evil beings of the seas. In many stories, they evolved to be vain and beautiful beings, that sometimes save the sailors that fell to the waters and could drown in the sea. They are depicted sat in a rock combing their hair or staring their faces in hand mirrors, prone to fall in love, and mysterious. These days Alexa has rearranged its index of sites. This has caused a real collapse in Internet, as many well-known sites have seen their Alexa rank worsened. The Alexa Rank indicates how much visited a website is. Websites with a lesser number are more visited than others with bigger numbers. For example, a website with 50,000 of Alexa has more visitors than one with 8,000,000 of Alexa. Having a good Alexa Rank is very important, specially for people that are freelancers (like in my case) or people that have their main income from their websites, businesses, etc. Having a good Alexa Rank makes advertisers and clients to trust more in you. Previous to this change, Alexa gave better positions to those sites that had more visitors with the Alexa toolbar installed. Some sites recommended to all their visitors and readers to install it, and ranked much higher than real. This happened mainly in blogs about SEO, technology and money-making. These blogs have been the most damaged by this change. Some sites also recommended ways to cheat the Alexa toolbar. All these things have been detected. With all this, many people have felt very surprised when they visited some sites and saw so big changes in their Alexa Ranks. Anyway, few people are really affected by the Alexa rankings. Only professionals, businesses and freelancers, like me. There are many good websites and blogs with poor Alexa rank, and their content may be excellent. To have a good rank and earn money online is not as easy as many money-making blogs say. It takes a lot of dedication, work, and a great effort. But, of course, saying this is not cool, but it's reality. People prefer to hear that it's quick and easy. But it's hard and takes as many work hours as a offline job. I feel very comfortable with these changes because there are many people that make a lot of cheats, steal original content from others, etc. And for all this, Internet is auto-protecting itself. Some people seem to be able of doing all kinds of cheats during some months (copy articles, make cheats with the rankings, spam everywhere...). Then, they gave up. But during that time, they have poisoned all the Internet. But all this ends in one way or another. Finally, Alexa did a great job, and today it's the best Internet rank. 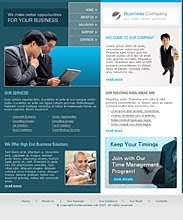 Every serious business needs a well-designed corporate website. 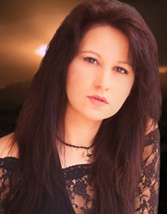 The website's contents tell the clients what they will find there, what is it all about. But the design of a website does much more than just displaying information. Through its shapes and colors, the website design can give a first feel of quality and reliability to clients and visitors. That's why every business or individual that is serious about his enterprise must use a quality business web site design. Also, web designers may need some professional templates as a base to begin their creative work, or as a toolbox that can save them from situations of lack of time for designing. For the business man, they have customization services. Your business can have its own and unique template. For the individual or entrepreneur that wants a quality template, they have pre-designed professional templates. And for the professional designers, they have a membership option that allows them to get a wide range of templates to download and use. There are hundreds of pre-designed templates for just $29. They all include different layouts for homepage and five internal pages. This is an interesting detail that gives these templates a solid corporate image, and adds variety. They are compatible with many web editors (Dreamweaver, Frontpage...) and can be edited to customize them completely to your needs. 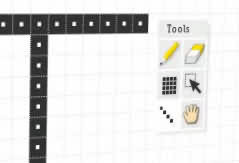 There are also Flash templates, that include movement and animations. Source files, that come with the template, also include PSDs, HTML and external CSS files. If you are a designer or for some reason you need a big toolbox of templates, there is also an interesting option: the membership. With it, you can download many templates of all that is available now and what will be added while you remain as a member. As a member, you get downloads of freebies like icons, logos, arrows and buttons, photos for your website... There are 3 plans: yearly ($360), 6 months ($245) and 3 months ($120). It's not too much, if you measure that it gives you right to download all that you want. The downloaded templates can be used in your projects as many times as you wish. There are also templates for Joomla, the so popular portal system that many businesses and communities use to build their websites. And what if your business needs an unique template? Then use the customization services that BuyTemplates.net has. And if you already have a template and want to change some things in it, even if you purchased it from another vendor, they will customize it too. That template will always be yours, and you'll own the 100% exclusive rights over it. The prices are really affordable for any business, let it be small or big. In fact, in BuyTemplates.net they do much more, as they can build an exclusive template from scratch, and in addition help in any of the phases that a business needs, from promotion (SEO, etc) to hosting and maintenance (content insertion, updates, etc). For an ecommerce website, they can add all the forms, databases, shopping cart system, etc. Their payment method is secure, through Paypal or 2Checkout. And if you're not satisfied, they have a 100% money back guarantee, and live chat support through 24 hours. 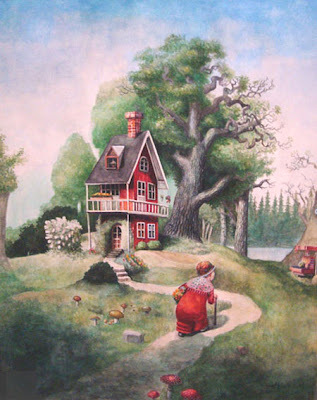 There was a disabled old woman that lived in a forest. She had two nephews. One was tall and strong, the other was very lame and rather clumsy. Each day, her nephews brought all that the old woman may need to her house. But the weaker nephew always felt ashamed for bringing much less things than his cousin. He always lost something in the way. He was tormented by that. He felt very unhappy, and started a competition with his cousin in which he never won. One day, in despair, he went to visit the old woman sooner, and said her: "Dear Aunt, I will never come back here. Mi cousin can look after you much better than me. I am just a hindrance... I always end losing everything and I'm not useful for caring about anyone". The old woman looked at him with sweetness. "You, my nephew, are who brings more happiness to me. Haven't you seen all the beauty and joy that surrounds my house?" The boy saw that all around the house of the old woman there were dozens of fruit trees and flowers of all colors. "Each day that you come, you drop some piece of fruit. You bring the water and pour it over the earth, and thus you water the fields. You are the author of all this, you bring happiness to my days. Your flaws have become virtues, and you are my favorite". Since that day, the boy felt proud of his limp and his clumsiness. And since that day, he had a sparkle in his eyes that lasted forever. Iron Man is a character of Marvel Comics. Like all the super-heroes, he is the alter ego of Anthony Stark, a wealthy and successful businessman. 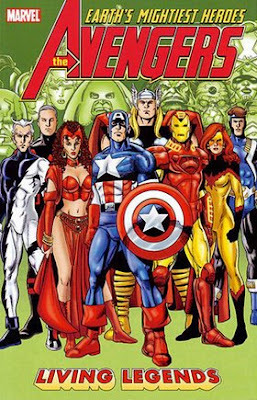 His creators were Stan Lee and Jack Kirby. The first appearance of Iron Man was in 1963, in the number 39 of the comic Tales Of Suspense. The character of Tony Stark was born in New York, and inherited, when he was 21 years old, Stark Industries, after his parents died. No one suspects that Tony Stark is Iron Man, because he pretends to be frivolous and arrogant. 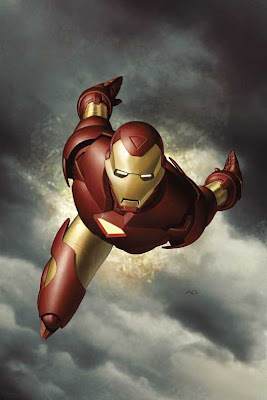 The super-hero suit of Iron Man is an armor that gives him a super-human strength. He can handle different weapons with it. It also has the ability of flying. The powers of the armor change in time, as well as his appearance, as the armor evolves in technology level. The armor of Iron Man is flexible and resistant. After having a run of bad luck, he becomes alcoholic, so Iron Man gives the armor to Rhodes, that will be Iron Man during some time. As a curiosity, Black Sabbath has a song that is called Iron Man. In one of the comics it is said that this song was one of the favorites of Tony Stark. That is the origin of the name of Iron Man. The character of Iron Man has appeared in comics, TV series, animation movies, video games... and in a short time, the Iron Man movie will be shown in cinemas. 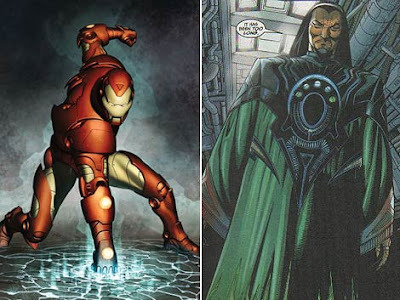 Its director is John Favreau, and the Iron Man character will be played by Robert Downey. Gwyneth Paltrow will also appear as Pepper Potts, a worker in Stark Industries.